APG Solar installs and services all types of green energy. We design systems to meet your needs and provide you with a long term green solution. Use the power of the sun to generate electricity, immediately deploy that energy into your appliances, and reduce your dependence on the electrical utility. Solar for your business results in lower electric bills and gives you the opportunity to claim accelerated depreciation on the system. 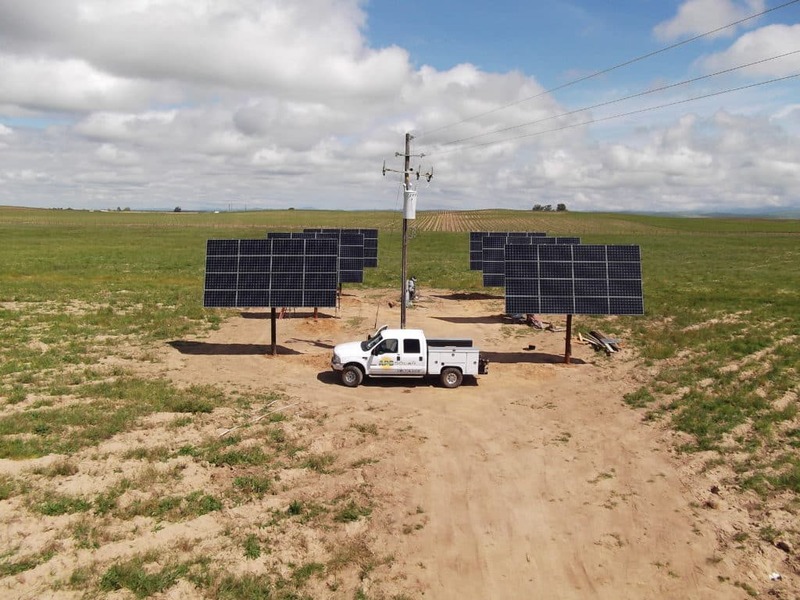 A solar installation on your agricultural property offsets the seasonal irrigation costs that the electric company charges, creating great savings for your business. Stand-alone battery based systems, back-up generators, and hybrid configurations are ideal for remote areas where utility service is unavailable or cost prohibitive to install. APG Solar serves the Eastern Sierra Reservoirs. 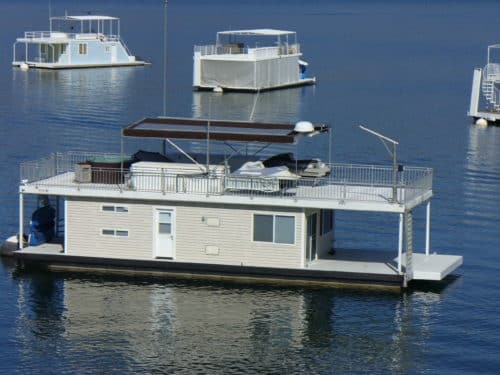 We install, upgrade, and maintain battery based solar power for houseboats with generator backup. Extend your swimming season into spring and fall using solar heaters instead of conventional pool heaters that use propane or natural gas. Solar hot water systems are most commonly used to heat water for basic household needs such as laundry, bathing, and dishwashing. 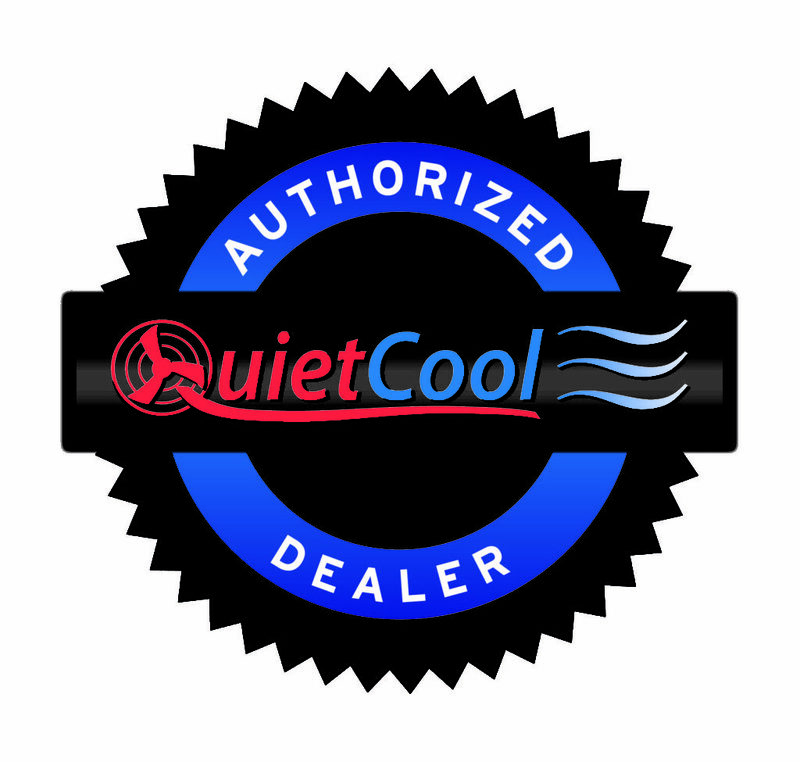 Install a Quiet Cool whole house fan to reduce the load on your air conditioner and lower your energy bill. Grid-tied systems are also referred to as utility-tied or parallel interactive systems. These systems use the power of the sun to generate electricity and immediately deploy that energy into your loads (appliances, etc). The beauty of these systems is the electrical “grid” of your utility company serves as a giant rechargeable battery bank. 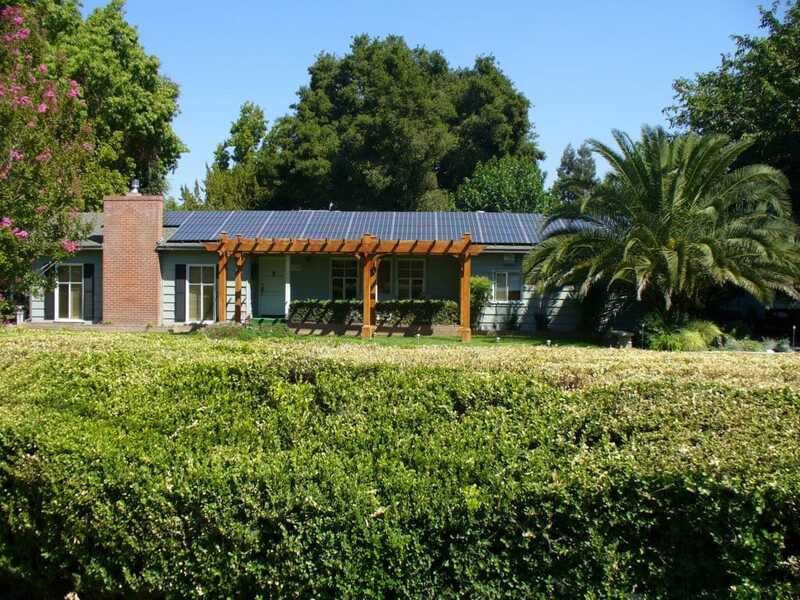 Grid-tied systems make use of net metering, meaning that the energy that is generated by your solar PV system is used to offset the electrical power that you require for your loads (appliances, etc.) from your utility company during the day. You pay only for your “net” usage of electricity from the utility company, so if your PV system generates more electricity than you can use your electrical meter will actually run backwards! The excess energy is credited back to your account by the utility provider (PG&E, SCE, or SDG&E) and is transmitted back into the utility grid. During dark hours or extended cloudy days the PV system is off line so your electrical needs are supplied by the utility grid. Grid-tied systems are often combined with a time-of-use (TOU) rate schedule from the electric utility company. TOU billing offered by the utility company will credit power supplied from you at peak rates during the day when your system is generating more power than you consume. You will purchase power from the utility provider at (off peak) lower rates during the evening when your PV system is not generating power. Under the Public Utilities Regulatory Policy Act of 1978 (PURPA) and related legislation, U.S. utilities are required to purchase/credit the excess electricity generated by small power producers at regular retail rates. APG is able to scale our installation teams to meet your large project needs. Contact our office to speak with our large commercial design staff. Small Business solar solutions are a great fit for businesses that own a portion or all of the roof space of their building or have adequate usable land in close proximity to the electrical meter. For a professional consultation of your building or property follow the link below. APG is one of the only solar installers with the equipment and expertise to design and install a cost saving solar array that will meet your needs year-round. Excellent candidates for solar are dairies and orchards. Standalone or backup systems differ from grid-tied systems in that standalone systems are designed to store the energy they generate to be used at a later time. Typically the energy generated is stored in large battery banks giving standalone systems the ability to be completely independent of grid power. Standalone systems have different design considerations than grid-tied systems. Standalone systems typically generate electricity at a lower DC voltage in order to provide a more appropriate match to battery voltages. As a result Standalone systems require special inverters and other additional equipment. In the event of extended cloudy days or low solar resource a back-up generator is recommended to be incorporated in order to guarantee power. Generator power is the primary source of electricity for houseboats, but it’s not the only source. 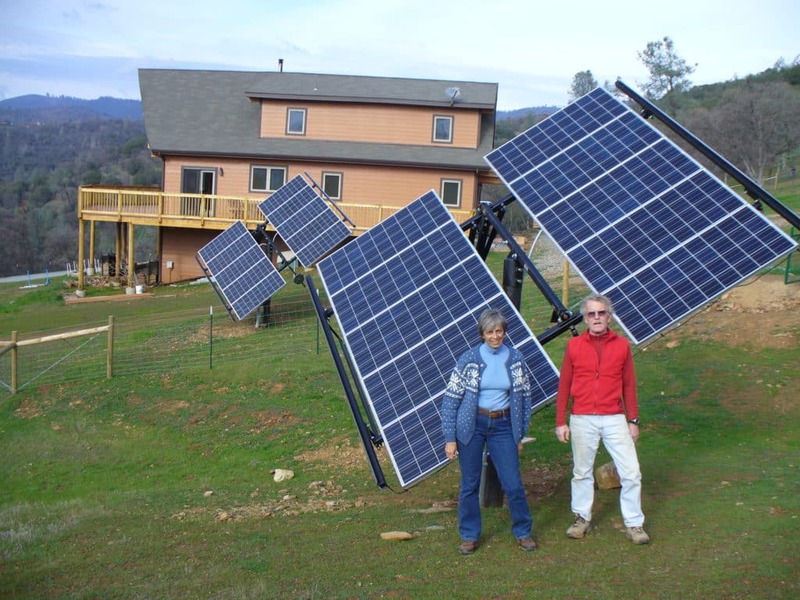 Solar panels can be installed to provide quiet and eco friendly power for your home on water. Contact our marine team for a custom design today. Solar heaters are often the most economical way to heat a swimming pool. Compared to conventional pool heaters using propane or natural gas, solar pool heating systems can pay for themselves in six years or less. If you currently do not heat your pool, a solar heating system can provide an economical way to extend your pool season, starting earlier in the spring and extending later into the fall. Solar pool heaters work by rerouting pool water directly through polypropylene collectors and then returning the warmed water to the pool. The collectors used for pool heating systems are often less expensive than those used for domestic hot water systems. 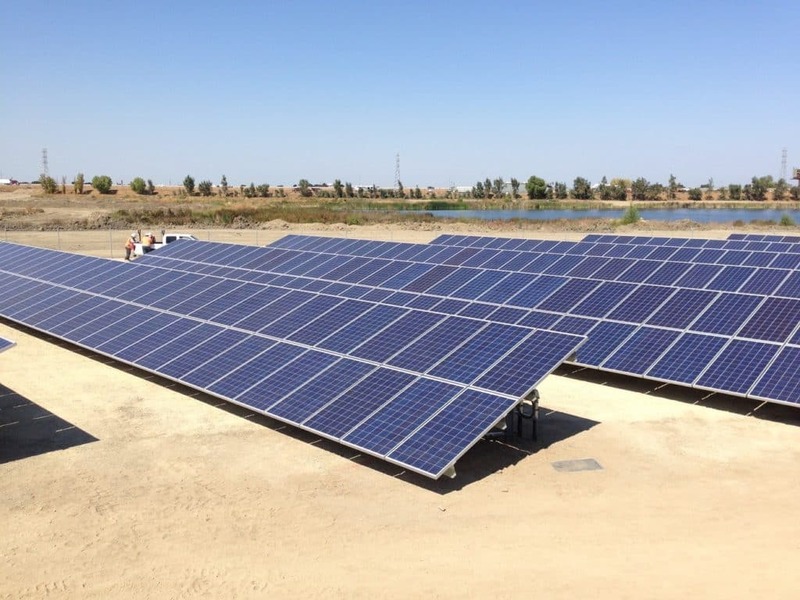 Please note that systems installed in the Central Valley are typically sized requiring the solar array square footage to be approximately 70% of the pool surface area. APG SOLAR prefers AquaSol and SunSwim panels which are competitively priced and offer a 12 year warranty. Click here for more information on AquaSol pool heating panels. Solar hot water systems are most commonly used to heat water for basic household needs such as laundry, bathing, and dishwashing. These systems are commonly referred to as “domestic hot water systems” or DHW. DHW systems typically use solar energy to pre-heat the water that is incoming to a conventionally fueled hot water heater. The warmer the water from the solar heater, the less conventional fuel will be needed to provide the household’s hot water needs. During the summer months in most of the nation, a properly sized solar hot water system will provide 100% of a household’s needs. In the winter, or during extended cloudy periods, the amount of hot water provided by the sun may be 50% or less. 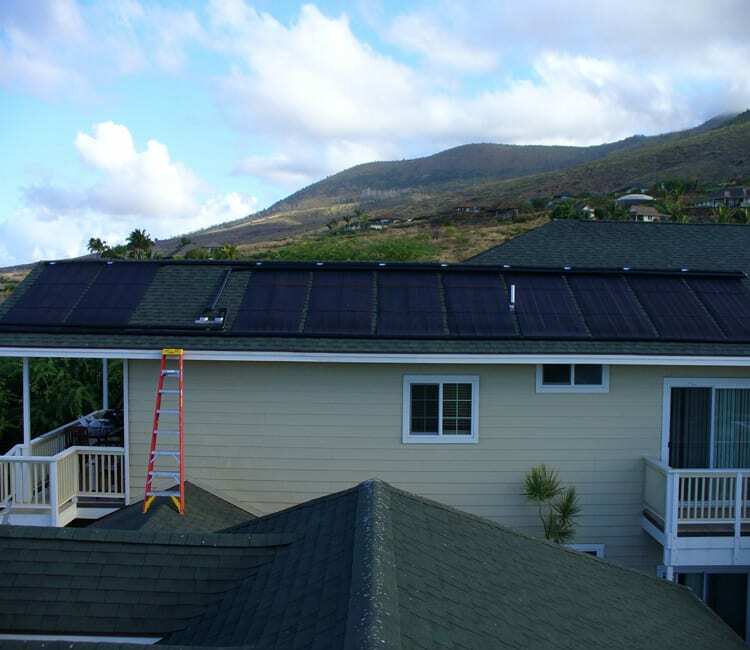 APG SOLAR desires to install systems that meet between 50% and 100% of your annual water needs. The size of the solar collectors suitable for your site will depend upon the geographic location and your hot water demand requirements, but typically they will require between 40 and 80 square feet of mounting area for a standard residential application. The most common mounting technique used today is installation of the collectors flush with the roof on a south facing exposure. Alternatives, such as ground mounting, or rack mounting on flat roofs are also possible. We recommend installing a tankless heater in parallel with the storage tank in order to avoid conventional tank water heater standby losses. These losses occur when the entire tank contents are heated to the set temperature, while only a portion of the contents are used. The remainder of the heated water temperature is cooled and lost. This primarily happens overnight. The primary advantage of the tankless water heater is that it does not incur standby losses. The other advantage is that it utilizes a modulated flame, meaning the intensity of the flame, or amount of fuel being consumed (BTU Rate) is directly related to the volume and temperature of hot water called upon. APG SOLAR also recommends the use of evacuated tube collectors due to several advantages. The first being higher efficiencies over conventional flat plate and another being less roof loading due to their lighter weight. Open Loop Recirculation systems are most common in the North Central Valley. Their principal of operation works as follows; In the event a higher temperature exists on the roof in relation to the tank, a differential controller turns on a pump that circulates well or city water through flat plate collectors and back to a conventional water heater or the supply side of a tankless. This differential temperature comparison takes place between 2 temperature sensors, one mounted on the roof & one in the tank. When the differential is minimal the controller signals the pump to cease. In the event another roof mounted sensor (snap switch) determines a freezing condition, the controller signals the pump to operate thereby sending warm water from the tank to the roof in order to prevent panel damage, thereby recirculating. Drain back systems use water as the heat-transfer fluid within the collector loop. The water is forced through the collectors by a pump and then is drained by gravity to the storage tank and heat exchanger. These systems have no valves to fail and when the pumps are off, the collectors are empty, thereby assuring freeze-protection and auto shut-off if the water in the storage tank becomes too hot. Closed loop systems use a heat-transfer fluid to collect heat and a heat exchanger to transfer the heat to domestic water. Active closed loop systems use electric pumps, valves, and controllers to circulate the heat-transfer fluid, usually a glycol-water antifreeze mixture, through the flat plate collectors. This glycol-water antifreeze mixture makes closed-loop glycol systems effective in areas subject to freezing weather down to below zero F temperatures. For this reason, closed loop systems are preferred for year round use in areas that experience common freeze. This system could be a variation of the above designs however must contain multiple heat exchangers. Passive Systems: Open Loop Thermo Siphon & ICS (Integrated Collector Storage) also called Batch. Open loop systems heat and circulate household (potable) water directly in collectors prior to distribution in the household. One type of open loop system is a batch heater that is simply a tank inside an insulated housing or a series of smaller tanks surrounded by an insulated box with a glass lens filled with water and positioned preferably on a south-facing roof system where it absorbs solar energy. The housings may incorporate a selective surface that absorbs the sun but inhibits radiant loss. 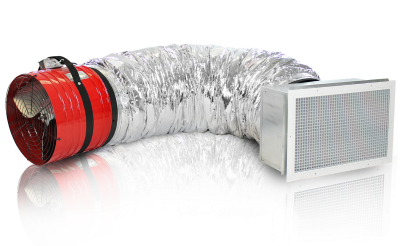 In climates where freezing occurs, batch heaters must either be protected from freezing, drained for the winter, or contain a thermostatically controlled heating element. Batch heaters are considered passive, and perform using the principle of thermo siphon. They are less expensive as a result of fewer components, and they require less maintenance and experience fewer failures. These systems are good economical choices for seasonal applications such as summer camps. Installed system costs are approximately $5000.00. Solar hot water systems are made up of collectors, storage tanks, piping, controls, and in some cases pumps. Active systems use pumps to circulate water or other heat transfer fluid through the system. Passive systems have no pumps and rely on water pressure, gravity, natural convection or thermo siphoning to circulate water. 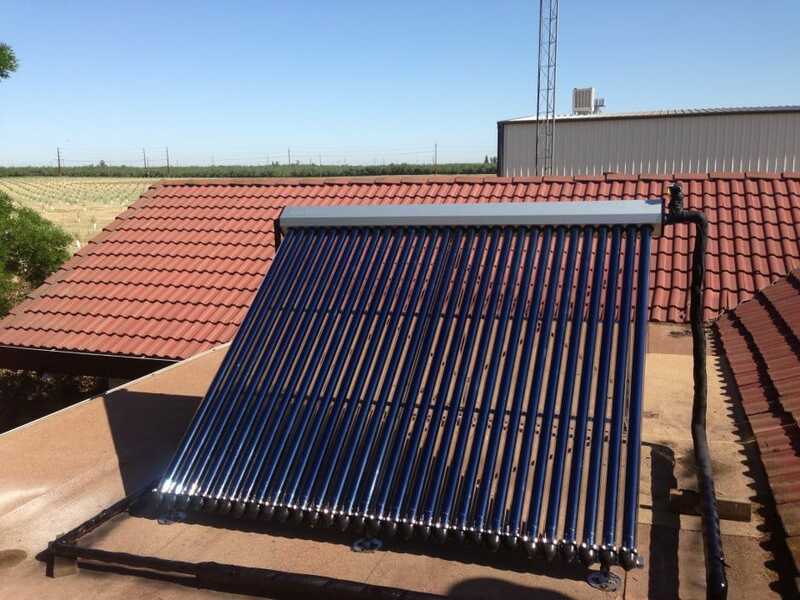 The newest solar hot water systems use evacuated tube technology. A heat pipe transfers heat to a copper header pipe inside of an insulated manifold. A pump circulates water through the manifold, warming the water. To learn more about this technology and how it can benefit your specific need, please view the following brochures: Agriculture, Business, Home. Most solar hot water systems require a well-insulated storage tank. Many systems use converted electric water heater tanks for storage, or plumb the solar storage tank in series with a conventional water heater. APG SOLAR recommends the use of tankless (otherwise referred to as “point of use” or “on demand”) systems fed by solar heated water to obtain the highest level of cost savings and efficiency. A differential temperature controller monitors the temperatures at the solar collector outlet compared to the storage tank. When the collectors are warmer than the tank, the control turns on a fractional hp pump which circulates a heat-transfer fluid, usually water or a water-glycol mixture, through the collectors and back to the tank or heat exchanger. A heat exchanger transfers heat from the heat-transfer fluid (usually either water or a water-glycol antifreeze mixture) to the household water supply. The heat exchanger itself is a series of copper or stainless coils submerged in the water storage tank or a compartment outside of the storage tank. For more information regarding tankless water heaters and evacuated tube collectors, call us today!